Once up on a time when I was about 19 years old, Manual Fangio steered Mercedes formula one racing cars to victories, I imagined myself to be Fangio and I invented a car that would negotiate bends on the track superior to anything else, without fishtailing. A five wheel drive, all five wheels in their steering action simultaneously turning 360 degrees plus, left or right, by the steering wheel. Synchronized in their turning motion and therefor directional with a round bubble like cabin. Operating in a round frame that should stay stable north south aligned as the car drove through the bends. All the driver had to do, aim his nose straight across the steering wheel, his sight lined up with the Mercedes star that acted as a gun sight fixed to the direction lineup of the wheels onto the turning cabin, like a gun turret. Keep your nose lined up with that star to your racing line on the road and thats where the car should be. Through the turns the steering wheel had to be continuously adjusted to the curve, thats the only difference to conventional steering. Nobody I thoug ht was to follow that car through the curves of Monaco, as all five wheels could be accelerated through the bends, just keep your sight on target, there should be no sliding, wheel spinning yes, that idea was in my head for all those years. 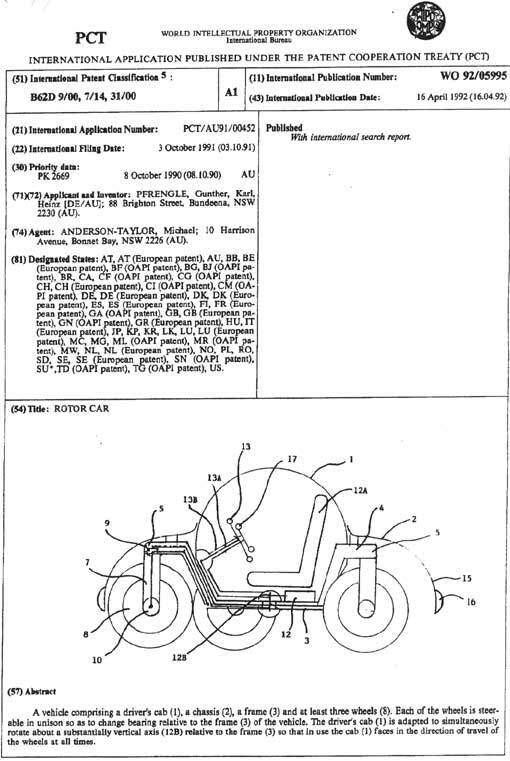 While I was young I did not know how to patent my invention. I also thought that the drive train to power all the wheels could only successfully be solved, with geared electric motors in every wheel hub. One day my eldest son said to me "when are you ever going to tell me how that car functions." I said "if you pay for a world patent application, Ill build a radio-controlled model and set the patent process in motion." With my youngest son, we made a videotape of the driving and parking motions and the mechanical visually working concept of that machine that I had built. 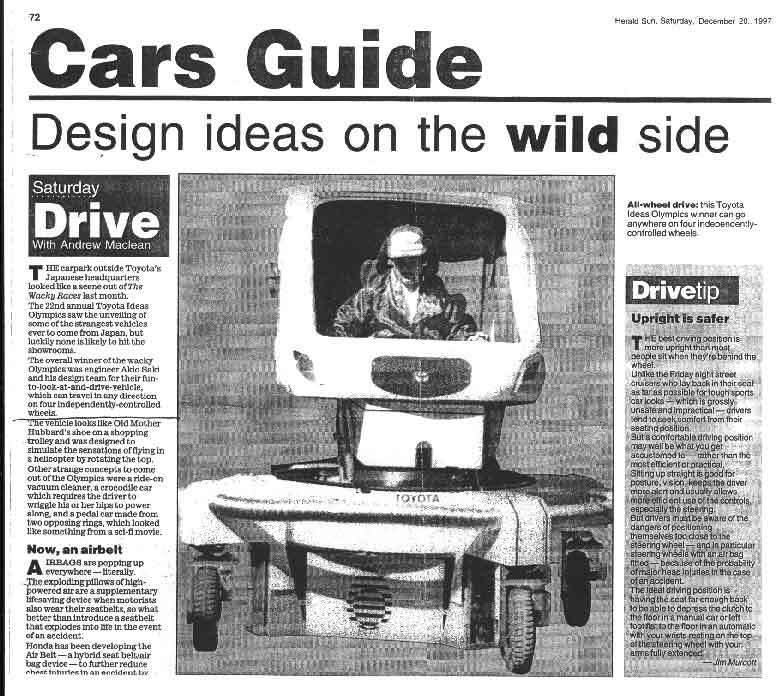 After securing a world patent application, I sent a copy of the video to just about every major car company in the world, hoping that Mercedes would use the idea and build an experimental car (ein Versuchs Model) as they had done so often in the past. I did not expect monetary gain, because I know what is involved, but I thought I could make a name as an inventor to benefit the marketing of my numerous ideas. 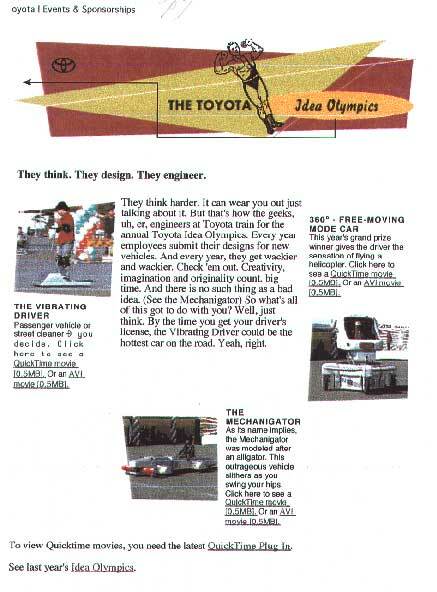 Only the engineers of one carmaker in the whole world appreciated my invention, they built a model with four wheels and won their Idea Olympics with it. Sadly for me, I thought they tried but they spelled my name completely wrong. 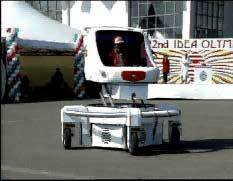 This original Rotor Car Video was sent to a number of motor car companies.